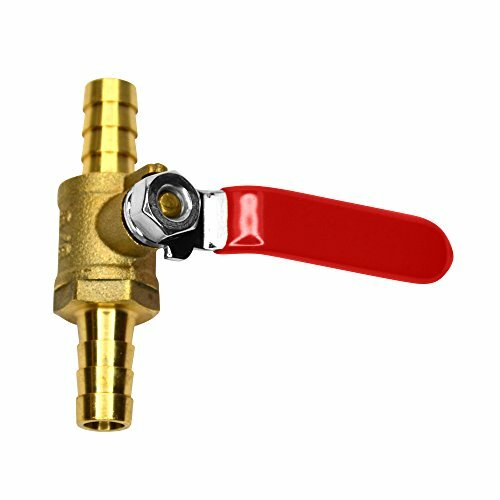 SharkBite 1/2" Ball ValveSharkBite uses high-quality brass for our 1/2" x 1/2" brass push-to-connect ball valve with a single ball valve handle. The full port ball valve allows water to pass through the valve easily and freely, with the reliable option to turn off the water supply fast! Quick and easy to install a new valve or to fix a leaking water pipe. 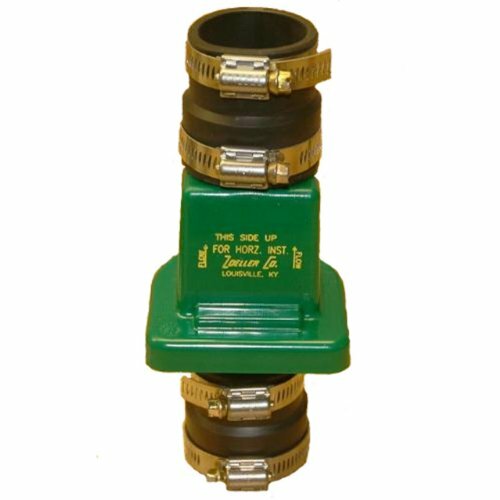 Our ball valves can be easily rotated after installation making it a cinch to shut off water in an emergency or work in tight spaces.Our product works with your existing plumbing, is easy to disassemble for changing and reusing fittings, and can be rotated for easier installation in tight spaces. Perfect for joining Copper, PEX, CPVC or PE-RT pipe, SharkBite is the no-fuss way to fix small leaks or plumb a whole house. Whether you need to repair a broken pipe or plumb a whole house, SharkBite fittings are the push-to-connect solution for leak-free results.CUT. PUSH. DONE. The SharkBite Connection System makes any plumbing project fast and easy with our unique push-to-connect technology. 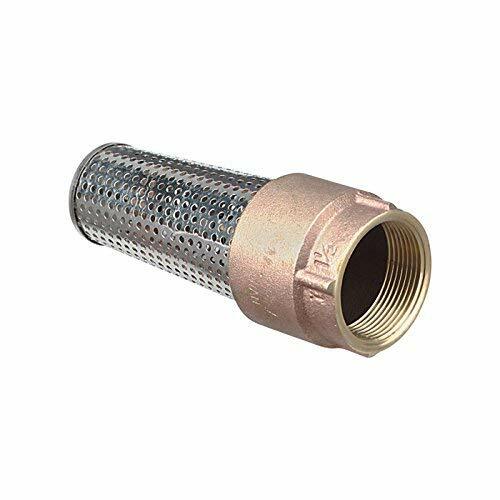 When you insert a pipe into the SharkBite quick connect fittings, the stainless-steel teeth bite down and grip the pipe, while the specially formulated O-ring compresses to create the perfect watertight seal. No soldering, no clamps, no glue. LEAD FREE: Made of high quality forged lead free DZR brass. 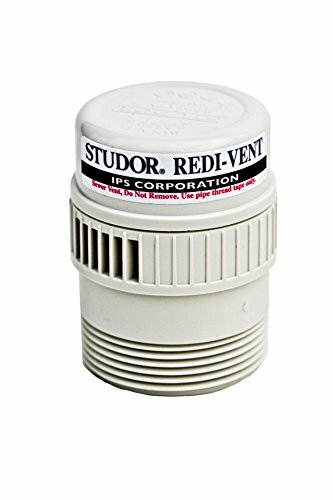 PERFORMANCE: 200 PSI and 200 degrees F. Use in potable water and hydronic heating applications. This Kerick MA052 float valve is a tank-mount style with an adjustable arm, and is made of PVC with 18-8 stainless steel hardware. The valve has a 0.093" orifice and its estimated rate of flow is 1.3 gallons per minute (gpm) at 40 pounds per square inch (psi) and 1.5 gpm at 60 psi. The valve inlet has 1/2" NPT male extended threads with a sealing washer and jam nut for mounting through a tank wall, and the valve outlet is free flowing. The valve is made of National Sanitation Foundation (NSF) approved PVC (polyvinyl chloride), its replaceable seals are made of TPE (thermoplastic elastomer) for durability and chemical resistance, and its hardware is made of 18-8 stainless steel for corrosion resistance. The valve has a 1.5" in diameter and 4" long polyethylene float attached to the adjustable shutoff lever arm. 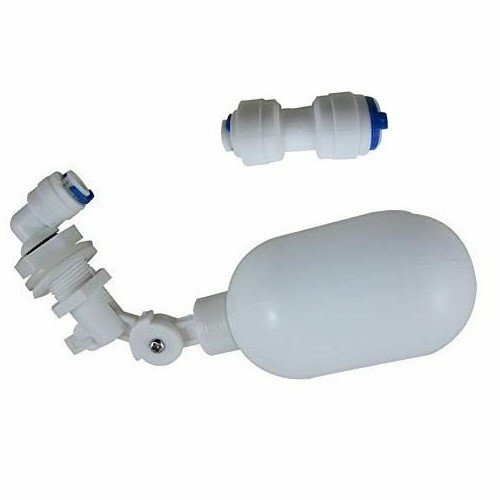 This float valve is suitable for use in a variety of applications, such as fountains and livestock water tanks. Float valves use a rod and float ball attached to a valve shutoff lever to control flow in or out of a tank. The float ball rises or falls with the level of liquid in the tank, changing the angle of the valve shutoff lever. When the angle of the valve lever changes sufficiently, the valve opens or closes. 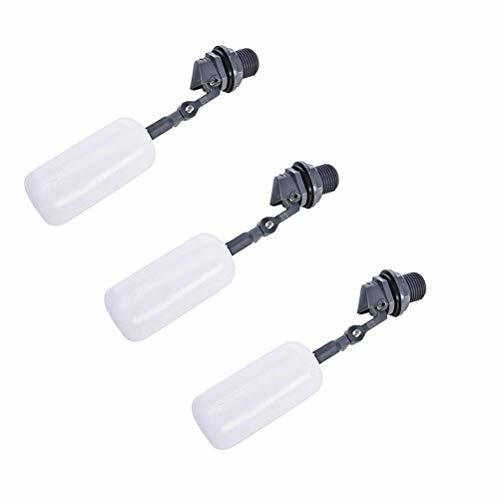 Float valves are rated according to the volume of liquid that can flow through them at a particular pressure to ensure the tank can be refilled as quickly as it is emptied. The material that a float valve is constructed from must be suitable for the liquid in which it operates, which may be corrosive or at an extreme temperature. Float valves are used to automatically regulate the level of liquid within tanks in a variety of applications, such as fountains, livestock water tanks, cooling towers, and chemical manufacturing plants. Kerick Valve manufactures fluid level control valves for industrial applications. The company, founded in 1994, is headquartered in Jacksonville, FL. 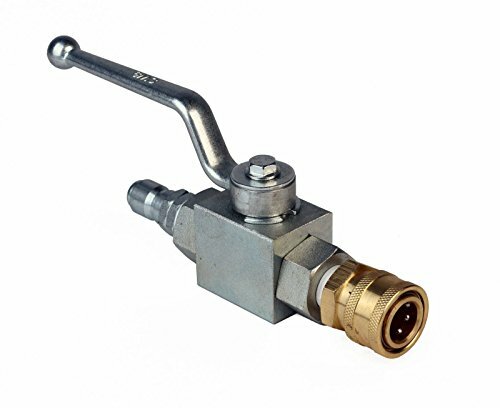 This Control Devices ST25-1A150 ASME safety valve has a brass body, a 150 psi relief pressure, a 1/4" male NPT threaded inlet connection, and a stainless steel pull ring for manual pressure relief. 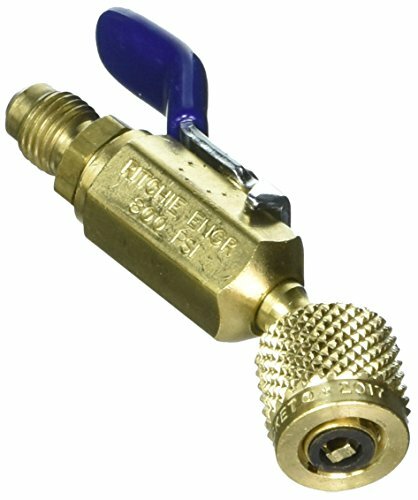 The valve's brass body, brass valve seat, and the zinc plated steel spring resist corrosion and can be used in operating temperatures up to 250 degrees F. The preset relief pressure is accurate to within +/- 3 percent and a silicon O-ring provides a leak-proof seal to within +/- 10 percent of the relief pressure. This safety valve is American Society of Mechanical Engineers (ASME) safety rated and displays the UV mark for pressure vessel safety valves. It also displays the NB mark for certification in accordance with NB-501, National Board Certification of Pressure Relief Devices. This safety valve has a 116 cubic feet per minute (CFM) flow rate and is suitable for low capacity pressure relief applications such as in home construction air compressors. Zurn Engineered Water Solutions is a recognized leader in commercial, municipal, and industrial markets, delivering sustainable building solutions for new construction and retrofit applications. At Zurn we are committed to providing smart solutions that save both time and money. This Bonnet Repair Kit includes bonnet, canopy, and canopy screws. 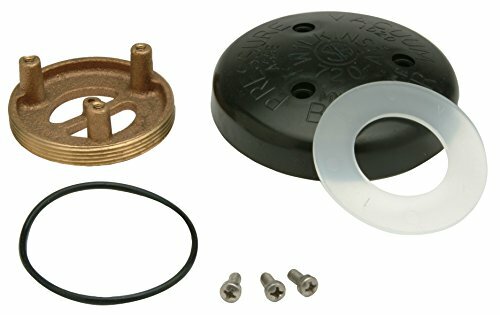 The RK1-720AB Bonnet Repair Kit is compatible with the 1/2", 3/4", and 1" Zurn model 720A. 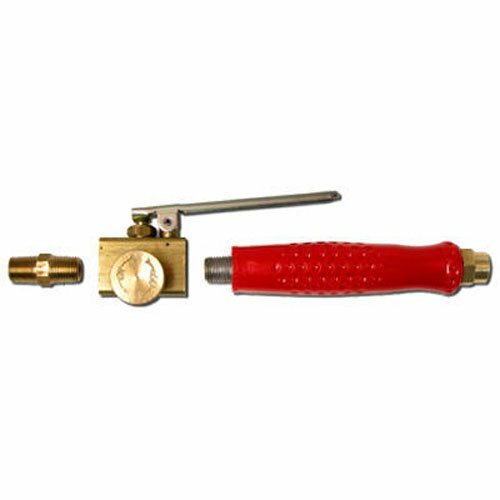 Yellow Jacket mini ball valve 3 pack. 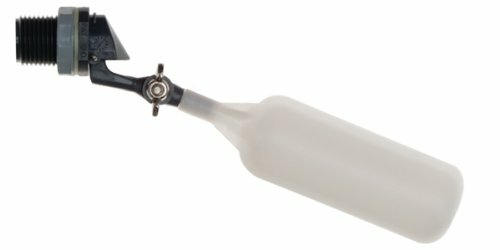 Ul recognized to 4000 psi (276 bar) minimum burst, 800 psi (55 bar) maximum working pressure made in the USA. Valterra's Bladex Waste Valves fit GrenTec, Bladex, Valterra, Bristol, and Anonda valves and include all necessary seals, nuts and bolts. Since 1981, Valterra Products, LLC, has been a leading supplier of brand name product lines to the RV, Pool & Spa, and Plumbing industries. 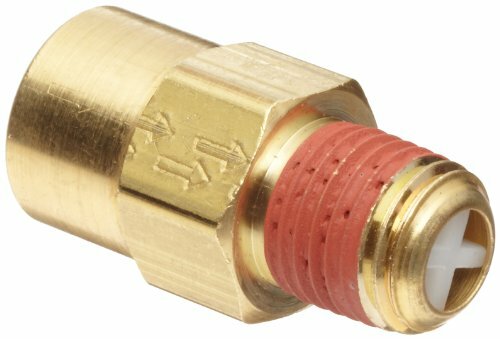 1/4" NPT port, brass body, VITON seals, 12 volt DC, for air, water, or fuel (disel, gasoline, oils and other hydrocarbons). 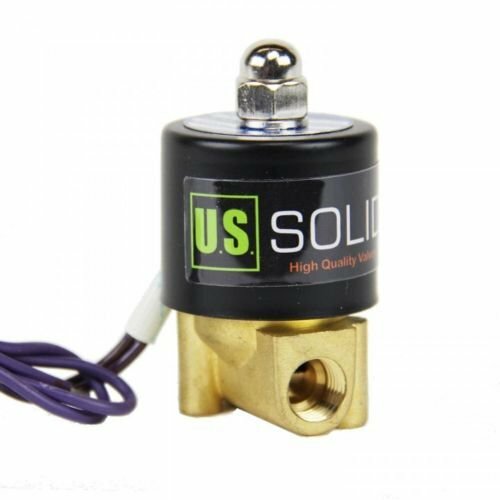 U. S. Solid normally closed (N/C) electric solenoid valve is constructed with a durable brass body, two-way inlet and outlet ports with one-quarter inch (1/4") female threaded (NPT) connections, and heat and oil resistant Viton seals. The direct current coil energizes at 12 volts DC; (It doesn't not matter which line is positive and which is negative, the valve will energize identically) Voltage range + or - 10%. 12 Watt power rating. Direct lift valve operates from 0 PSI to a maximum pressure of 145 PSI (0 MPa to 1.0 MPa). Operational pressure range for water: 0 to 101 PSI; for oil: 0 to 72 PSI; for air or gases: 0 to 101 PSI. 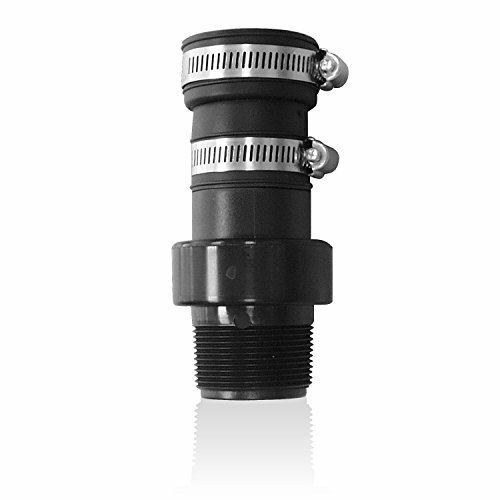 1/4" (2.5 mm) flow aperture permits a unidirectional flow capacity of 0.23 gallons per minute (GPM) of water at 60F with a pressure drop of 1 PSI (0.23 Cv). Operational temperature range is 14 to 248 degrees Fahrenheit; -10 to +120 degrees Celsius. Suitable for outdoor use; not for use underwater. 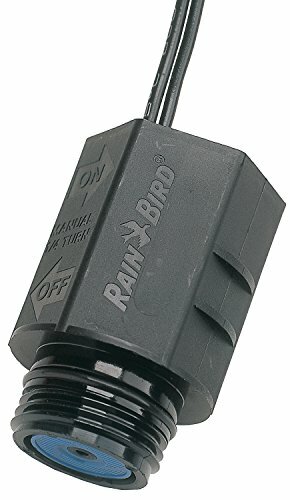 Suitable for use with hot or cold water, gas, air, very low viscosity fluids ( Customers chose this general purpose valve for: do-it-yourself projects, moderate temperature applications, water exchange for aquarium, air horn, or bleeding moisture from an air tank, auxiliary gas tanks and many other. VITON GASKET- Viton is a space age material that is very chemically inert. As such, it is commonly used with gasoline, kerosine and other organic solvents. Some companies sell solenoid valves with NBR gasket and advertise gasoline use. DO NOT USE NBR gasket for gasoline (it will corrode the gasket and can cause serious gasoline leak and accident or fire). If you intend on using a valve for gasoline, use only VITON gasket. 1/4 NPT (USA National Pipe Thread). Commonly used standard pipe thread in U.S.. SOLID BRASS. This valve's body is made of solid brass (very corrosion resistant material). DIRECT ACTING and Normally Closed Valve (N.C.) - The solenoid's magnetic field with directly moves the plunger and close the orifice for any fluid or gas flow. Only opens while energized. High-pressure ball valve has a 3/8 in. male plug and a 3/8 in. female quick connector. Easily change pressure washer accessories with quick connections. 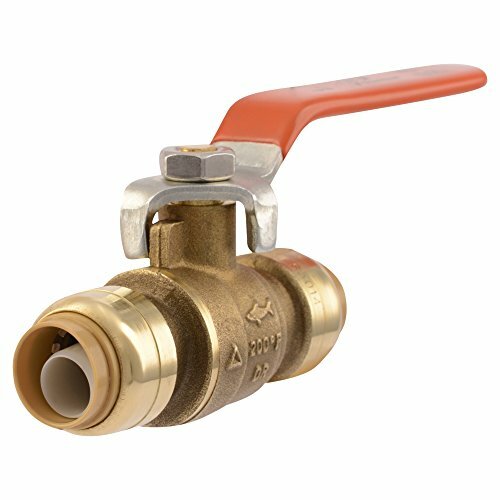 This MTLB-6 3/8 inch Brass barb x barb ball Valve, heavy duty commercial grade lead free Brass 3/8 inch barb to barb ball Valve used for many applications. Brand: OCSParts | Manufacturer: Advanced Component Services, Inc. Plastic float valve automatically start and stop water flow. The float is adjustable to allow you to control the water height.